Braamfontein Alive: MIKE TYSON WAS A MARRIED MAN… LESSONS FROM HIS MARRIAGE. MIKE TYSON WAS A MARRIED MAN… LESSONS FROM HIS MARRIAGE. If there was a marriage that shocked the world, it was Mike Tyson marriage to Robin Givens. 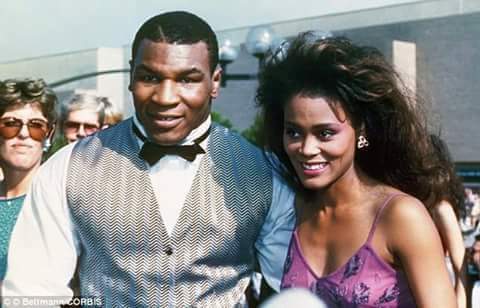 Mike, the famous former world boxing heavyweight champion then, was an illiterate street but wealthy man but Robin Givens was an educated actress that was rumored to be a gold digger. 1. AGE: He married at the age of 22 to her. To Americans, it would have been a ripe age but for someone that grew up in the streets and totally ignorant about dating ladies, his inexperience was the first nail to coffin of the marriage. 2. KNEW LITTLE ABOUT HER: Robin shines and glitters and Mike fell deeply in love with someone he did not even know. He just wanted to marry a celebrity. Many are also marrying today without dating or background checks. Many marry as soon they meet because the man is as rich as Mike Tyson or as classy as Robin Givens. 3. TRAPPED INTO MARRIAGE: Mike claimed that he was tricked into marriage by Robin Givens with a pregnancy tale. She told Mike that she was 3 months pregnant and he rushed the marriage. He later found out it was a lie. Robbin said she had a miscarriage. 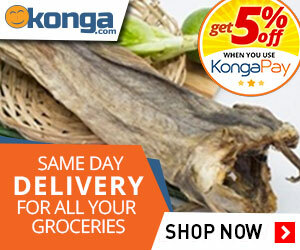 Many today don’t bother to cross-check fantastic claims that magnate them to marriage. Ladies are now struggling to have kids for men before they will marry them. Mike told the world after the marriage that Robin and her mother targeted him to use “short-lived marriage” to dupe him. 5. SPOUSE ABUSE: Matters came to a head when Tyson and Givens gave a joint interview with Barbara Walters on the ABC TV newsmagazine show 20/20 in September 1988, in which Givens described life with Tyson as "torture, pure hell, worse than anything I could possibly imagine. “ Givens also described Tyson as "manic depressive" on national television while Tyson looked on with an intent and calm expression. A month later, Givens announced that she was seeking a divorce from the allegedly abusive Tyson. 6. DIVORCE: Tyson and Givens' divorce was finalized on Valentine's Day 1989. They had never signed a prenuptial agreement and she received a reported settlement of more than $10 million. Following the divorce, Givens received bad press and one article described her as the 'most hated woman in America.' Their marriage lasted from February 7, 1988 to February 14, 1989. 7. Never rush into marriage because you may soon rush out. How can only class and legs be Robin’s attraction to Mike Tyson? What of character and family legacy? Tyson writes after the marriage that Givens' mother Ruth was a 'Ruthless,' gold-digger. Many young men today are also using only “legs” and “ukwu”(waist) as the only two qualities their wives will have while ladies and the Mums like Robin and Ruth are only looking for a man loaded with dollars. There are some of the reasons why marriages are crashing today. Never be a victim. 8. SHARE THIS POST ON YOUR WALL FOR FRIENDS AND FAMILY.